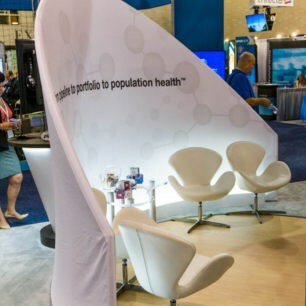 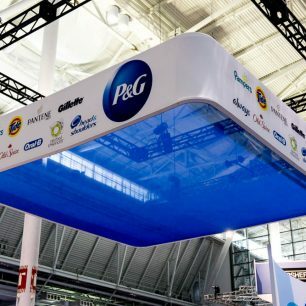 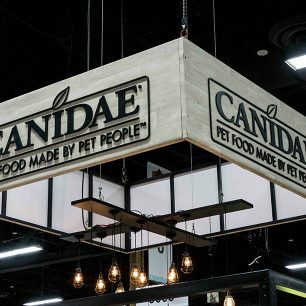 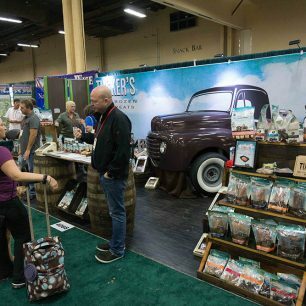 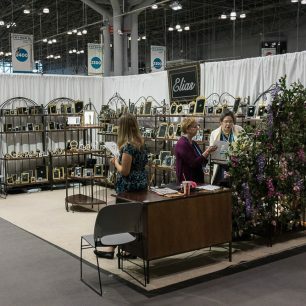 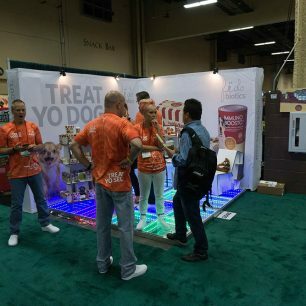 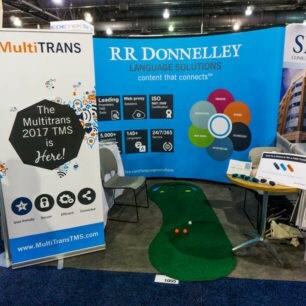 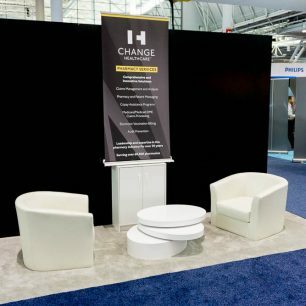 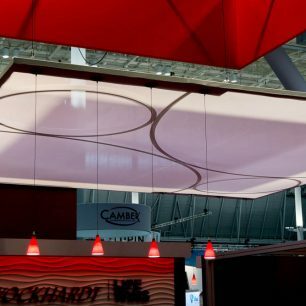 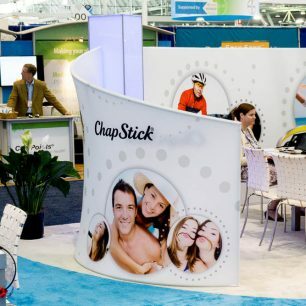 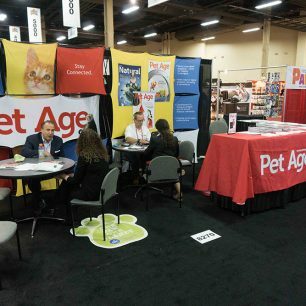 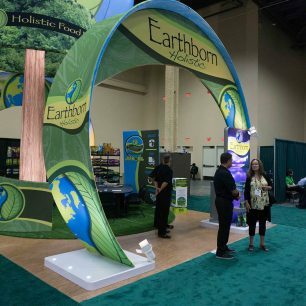 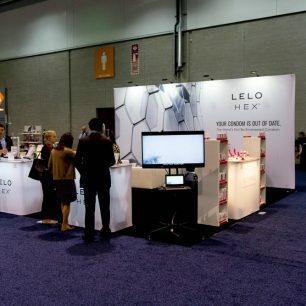 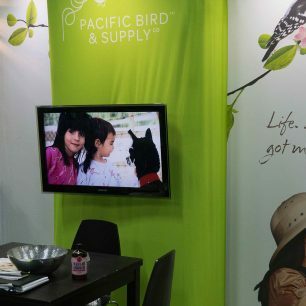 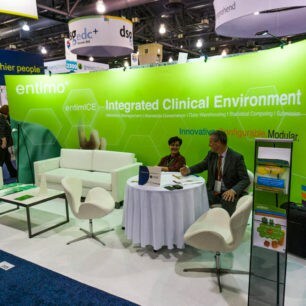 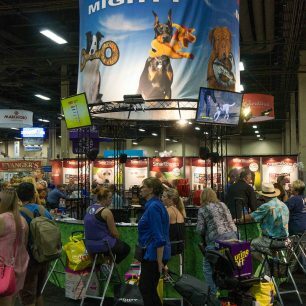 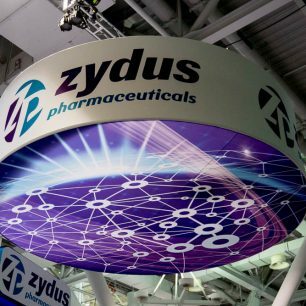 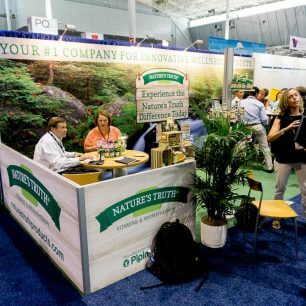 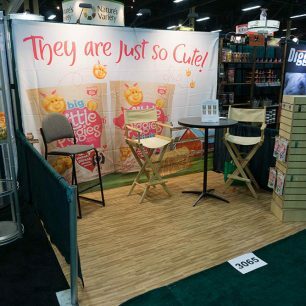 Fabric backdrops are another common element of trade show booth designs that have maintained popularity at shows around the world. 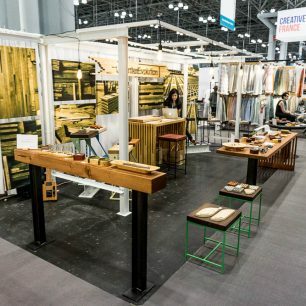 Fabric can be used in the form of curtains, or it can also be used in a “tension” way where the fabric is pulled across a frame to create a wall-like structure. 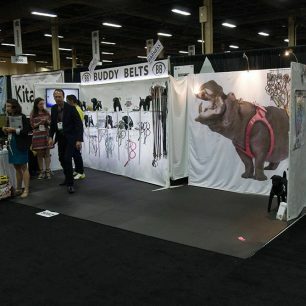 This type of fabric backdrop usually needs to be custom ordered and can be pricey due to the special graphics printing that may need to be done. 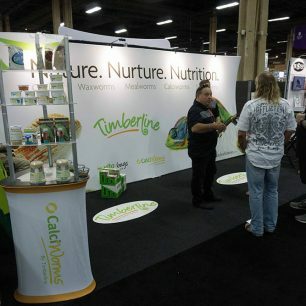 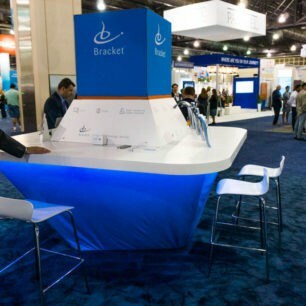 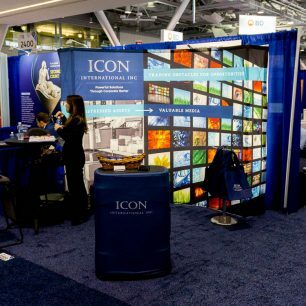 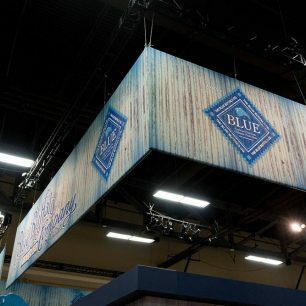 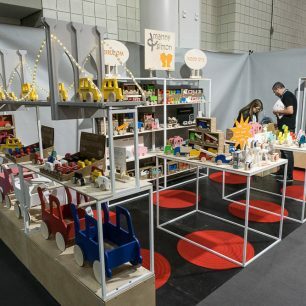 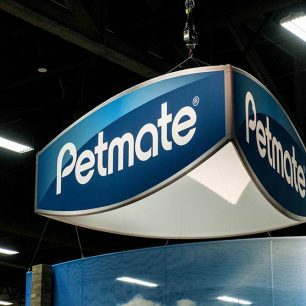 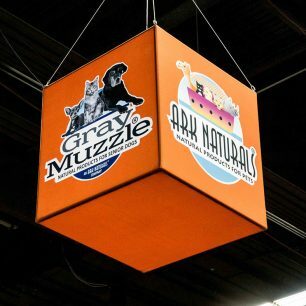 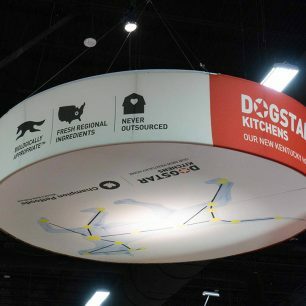 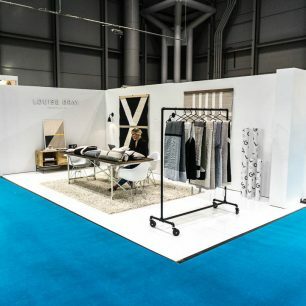 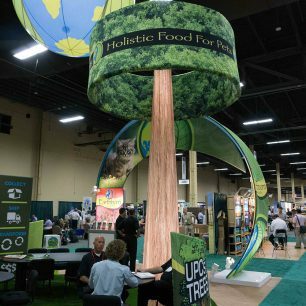 Look below for some examples of trade show booths featuring different types of fabric backdrops. 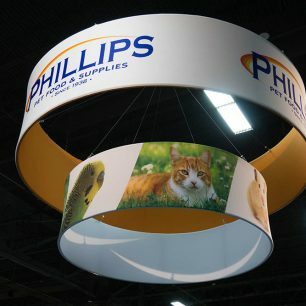 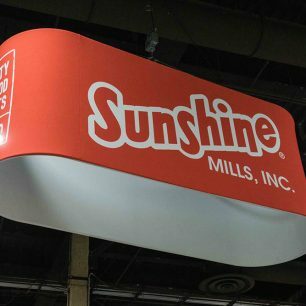 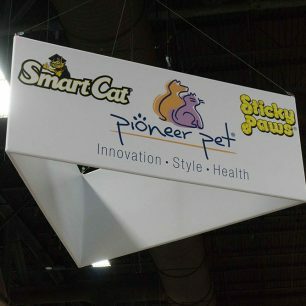 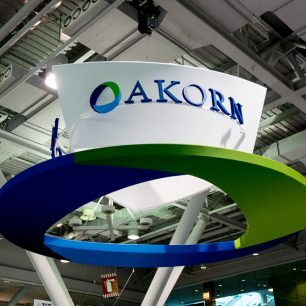 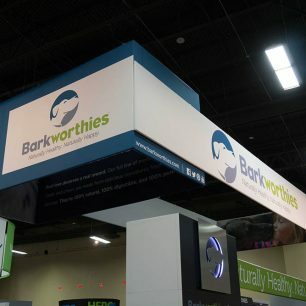 Also, check out other great options you have when designing your exhibit such as: backlit, glass, panels, curved, and curtain.